Euro-Mediterranean Human Rights Monitor- How can we solve the global refugee crisis? 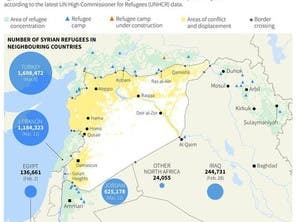 How can we solve the global refugee crisis? Could multinational corporations hold the key to solving the world’s refugee crisis? It sounds like an outlandish suggestion. But we urgently need to think outside the box on refugees, as conventional approaches do not appear to be working. I am constantly spending time in refugee camps around the world for my organisation, Blue Rose Compass, and I see little sign either that the situation is improving or that improvement is likely any time soon. Last month, at a camp in Jordan, I met a succession of bright and highly-educated refugees from Syria: a second-year agronomy student at Damascus University; nurses; engineers; teachers. These are people with talents to share – people who want to be tax-paying citizens, and who would make truly valuable contributions to any society that would have them. However, they cannot make those contributions, for two reasons. First, they have no papers to prove their qualifications. The decision to flee your home to seek refuge in a camp in another country is generally not one that leaves you with time to get your paperwork in order and make sure you bring your college transcripts. I met many Syrian students who had fled mid-course, and were worried about how they could continue their studies elsewhere; universities could help by allowing them to take tests if their transcripts are inaccessible. Second, even if they could demonstrate their skills, in most countries – with some honourable exceptions, such as Uganda – refugees are not allowed to work. There are, in theory, sensible reasons for this: refugee situations are supposed to be transient, so host countries don’t want refugees to put down roots and not return home when it’s safe to do so. 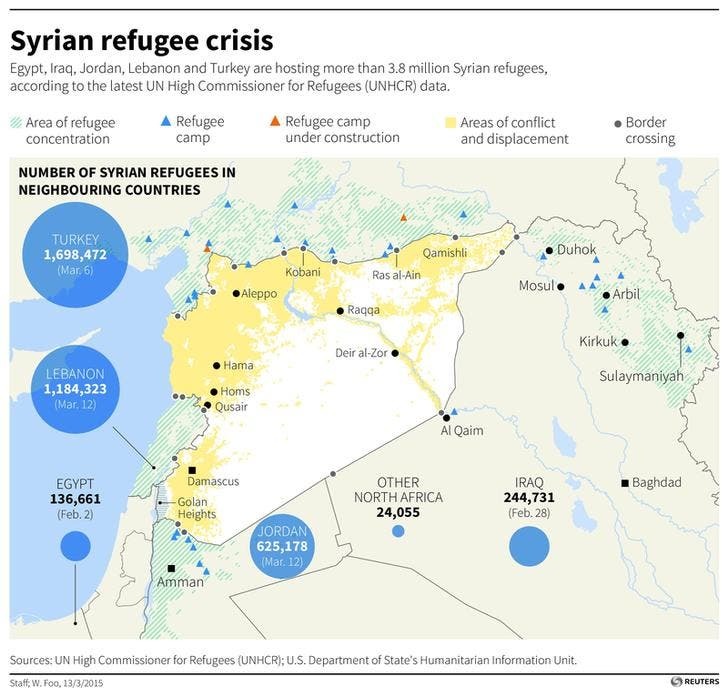 In reality, however, refugee situations are often protracted. I have met countless young people who were born in refugee camps; even if the country from which their parents fled were to take them back, the camp is the only home they’ve ever known. So the skills of the Syrian agronomist, the nurses and teachers and engineers will likely be unused. They will spend their days, perhaps for many years to come, in enforced idleness, with no right to work in Jordan, and no right to travel to seek work in another country. 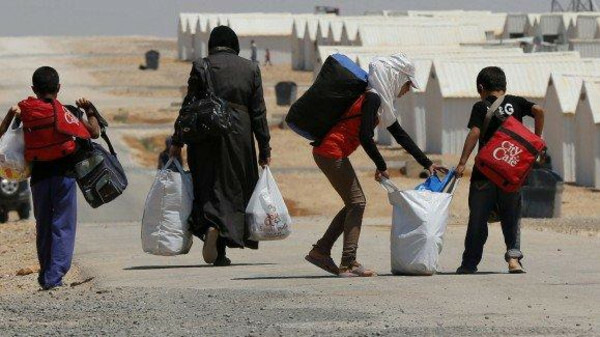 There are millions like them, stagnating in refugee camps around the world right now. The waste of human talent is both heartbreaking and insane. What can be done? Ultimately, only governments have both the capacity and the legitimacy to implement solutions at scale. But perhaps leadership from the private sector can help to prod them in the right direction. I am regularly heartened by private sector enthusiasm for the work my organisation does to identify outstanding young students in refugee camps, secure scholarships for them at top universities and help them find jobs when they graduate. A gratifying number of large corporations not only support the ideal, but see the self-interest: they appreciate the benefits of having employees with diverse life experiences, and understand the commitment and motivation that former refugees will bring to the employer who gives them an opportunity. Mastercard, for example, employed all of Blue Rose Compass’s graduating class in Dubai last year. We know that in many countries, multinationals are grappling with skills mismatch – unable to find candidates with the right profile despite mass youth unemployment, including across swathes of the Middle East and North Africa. No doubt some of the skills they need can be found ready-made among refugees in camps, perhaps on the other side of the world. Could corporations with multi-country presence take the lead in devising some system to ask incoming refugees about their qualifications, validate their claims of expertise, and match them to work openings in other nations? I am not suggesting that such a system could hope to resettle more than a fraction of the world’s tens of millions of refugees. But it would do something very important – it would send a powerful signal that we should think of refugees as individuals with the desire and capacity to work and contribute to society. Public opinion is badly in need of such a corrective. With every new story about hundreds more migrants drowning in the Mediterranean, compassion fatigue deepens. It becomes easier to see these people as mere statistics rather than a collection of human stories – the budding agronomist, wondering if he will ever recover his college transcripts or resume his studies. Somehow, we must find ways to include refugees in economic activity. History tells us that nothing good comes from segregating a class of people and barring them from gainful employment. Only governments can figure out ways to make rule changes work. But business can send a message.